Deep Brain Stimulation is widely used to alleviate tremor, rigidity and dyskinesia associated with a variety of movement disorders. The majority of DBS operations are carried out in patients with Parkinson's disease (PD) and other neurological condition characterized by trembling. Most of successful effects have been achieved using DBS in the vicinity of the subthalamic nucleus (STN), a small but integral part of the basal ganglia, which collectively control complex movements. DBS has proved an extremely effective approach towards movement disorders: it can return the patient to a normal quality of life and allow them to play their full part in the family and in society. It is a reversible approach (the electrodes can be removed), and is therefore preferred to lesions (such as pallidotomy or thalamotomy). Who are the candidates for Deep Brain Stimulation Therapy? Patients with Parkinson's disease, essential tremor, dystonia, epilepsy or tremor due to multiple sclerosis, with movement related symptoms that cannot be controlled by medications can be evaluated as possible candidates for deep brain stimulation only In addition, patients who experience intolerable side effects from medication may also be candidates. It should be noted that not everyone is eligible for DBS, patient's mental state and general condition is taken into consideration. It is important to note that these issues should be discussed with a movement disorders expert or specially trained neurologist. Dystonia does not respond to DBS in the same as other movement disorders do. For example, persons treated for tremor will generally improve within seconds of turning the generator on. In patients with dystonia, improvement may be delayed for days, and weeks or months may pass before the full extent of the benefit is reached. DBS does not necessarily eliminate the possibility of subsequent drug or botulinum toxin treatments. What are the Types of Deep Brain Stimulation Therapy? Thalamic Deep Brain Stimulation - In Thalamic deep brain stimulation, the DBS electrode is placed down into the thalamus and testing is begun. Electrical impulses are sent from the tip of the electrode into the thalamus. This is to identify a brain location where the tremor can be stopped effectively. At the same time, the surgical team monitors for any side effects of stimulation like numbness of the face, mouth, heaviness or weakness of the limb, change in speech, etc. If good results are obtained, the electrode is left in place and anchored to a plastic clip that is attached to the skull opening. The wound is then closed. In stage two of the operation, the patient is given a general anesthetia and put to sleep. The side of the head, neck and upper chest is prepared and draped. A small incision is made below the collarbone to allow creation of a small pouch underneath the skin that will hold the stimulator pulse generator or battery. A small incision is made behind the ear and a cable passed from the chest incision up to the head (all under the skin). This cable is then attached to the electrode coming out of the brain using a small plastic cover. The entire system remains underneath the skin. Generally, the chest incision is closed with an invisible stitch that does not need to be removed. The scalp stitches (in the front and behind the ear) are closed with nylon. Subthalamic Deep Brain Stimulation - This procedure is similar. However, once the skull opening has been created safely, a microelectrode (very small metal wire) is inserted into the brain toward the thalamus and subthalamic region. A neurophysiologist participates in the identification of specific brain cells in these regions. The purpose is to map out the area optimize placement of the electrode. Often the room will be dark during this time period. The patient will be kept comfortable during this time as the brain is evaluated. The time for microelectrode recording can take several hours. Once the appropriate area is identified, test stimulation is performed in order to check that the electrode is in a safe location that will not disturb brain function. When the safe area is identified, the electrode will be left in place and clipped to the skull bone-fastening device. If both sides of the brain are to be operated on at the same setting, a second incision will be made on the other side and the procedure repeated. This will again take several hours. Subthalamic deep brain stimulation is a longer operation. For most patients, the first stage of the operation which is placing electrodes into the brain will be performed in one day. The patient will be observed overnight in the hospital. The scalp incisions will be closed and the patient will return to the hospital 3-7 days later for the second stage of the procedure. At the second stage, performed under a general anesthetic, the cables and batteries will insert into the neck and chest area. Once the device is inserted, the patient will return to the neurology clinic. The stimulators will be turned on by the neurologist and his team several weeks later. Globus Pallidus Deep Brain Stimulation - The procedure is similar to that described above with several exceptions. In dystonia patients, the electrodes are placed into the brain using MRI stereotactic guidance, and then checked using stimulation. For most patients, both electrode insertion under local anesthesia and cable and pulse generator placement under general anesthesia is performed on the same day. Deep Brain Stimulation involves surgically implanting electrodes deep into the thalamus - the part of the brain that handles movement-related communication. The head is shaved and then attached with screws to a sturdy frame that prevents the head from moving during the surgery. Scans of the head and brain using MRI are taken. The surgeon uses these images as guides during the surgery. Patients are awake during the procedure to provide the surgeon with feedback, but they feel no pain because the head is numbed with a local anesthetic. Once ready for surgery, two holes are drilled into the head. From there, the surgeon threads a slender tube down into the brain to place electrodes on each side of a specific part of the brain. After the electrodes are implanted and the patient provides feedback about the placement of the electrodes, the patient is put under general anesthesia. The electrodes are then attached to wires that are run inside the body from the head down to the chest(near the collarbone in the chest wall), where a pair of battery-operated generators (similar to a cardiac pacemaker)are implanted. From here, electrical pulses are continuously delivered over the wires to the electrodes in the brain. The frequency level of stimulation is customized to the individual. The recovery period is fairly quick. After a 24-hour hospital stay, most patients are able to go home and resume normal activities. What is the Follow up Care after your DBS Therapy? After surgery, people are usually asked to come back after 6 weeks, 3 months, 6 months and 12 months. This will vary among hospitals and type of procedure. For those employed before the operation, it is usually possible to return to work after fully recovering from surgery. It may be necessary, however, to refrain from driving for 6 months. The Implantable Pulse Generator may activate airport security machines so you must inform airline staff and walk around machines. Although most patients still need to take medication after undergoing DBS, many patients experience considerable reduction of their PD symptoms and are able to greatly reduce their medications. The amount of reduction varies from patient to patient but can be considerably reduced in most patients. The reduction in dose of medication leads to a significant improvement in side effects such as dyskinesias (involuntary movements caused by long-term use of levodopa). In some cases, the stimulation itself can suppress dyskinesias without a reduction in medication. Deep brain stimulation therapy offers a number of advantages. The electrical stimulation is adjustable, whereas surgical destruction is not. As the patient's response to surgery changes over time, the stimulation can be adjusted without the necessity of repeat operation. Another significant advantage of deep brain stimulation therapy relates to future treatments. Destructive surgery, such as thalamotomy or pallidotomy, may reduce the patient's potential to benefit from future therapies. For example, future brain cell transplantation may be of great help to patients with Parkinson's disease. There is concern that a pallidotomy or thalamotomy may prevent patients from benefiting from brain cell transplantation. 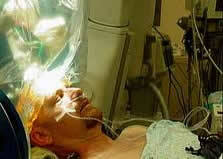 This would not be the case with deep brain stimulation as the stimulator could be turned off. Studies show that in 65-85% of the people who have been implanted with the Deep Brain Stimulation system, the treatment has significantly reduced, if not eliminated, their tremor. In fact, the vast majority of recipients report being able to participate in activities, they could not even attempt before treatment. Risk of stroke ranges from 1 percent to 3 percent among patients. Infection, which occurs in 3 percent to 4 percent of patients, is another risk. If infection occurs, it is usually not life threatening, but may require removal of the entire DBS system. DBS therapy has become a much known therapy to mitigate movement related disorders but can have serious repercussions if not delivered by an experienced, knowledgeable and skilled specialist. In India most of the surgeons, doctors and health care professionals are internationally trained. These professionals have handled multiple cases related to Deep Brain Stimulation Therapy. There are millions of people who travel each year to India for different types of medical and surgical procedures. They seek medical and surgical treatment in India as these facilities are either very expensive or unavailable in their own country especially an advanced brain stimulation therapy like DBS. Indian hospitals have become highly popular for their state-of-the-art amenities and sophisticated infrastructure. There are many hotels of international standards that make accommodation easy for those who seek medical and surgical treatment in India. Travelling in India has become easier as modes of transportation have increased dramatically. That is why many people from across the globe prefer India as their medical tourism destination. Obsessive compulsive disorder (OCD) grows with age and sometimes it makes you feel so restless and out of control that it starts affecting your normal course of work frequently. 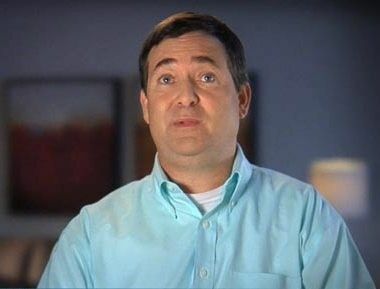 As oppose to the myth that there cannot be any treatment for this psychological disorder, there is actually a deep brain stimulation therapy that can provide relief to the brain when OCD triggers. In fact, the doctors at Dheeraj Bojwani Group are experienced with such types of procedures and they ensure that it can be conducted and implemented without much risk involved. And the cost involved in the procedure is so nominal that you can certainly think of adopting the option for chronic psychological disorders. Modern technology, health experts and holistic hospitals, all these are offered by Indian medical industry at an extremely low cost. India is coming up as the most economical health and medical care destination with huge cost savings on diagnosis; medical, surgical and therapy procedures. 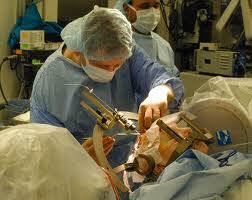 Deep Brain Stimulation Therapy in India is highly economical. The total price can be 60-90% cheaper than the cost one may find in western countries. The final price includes medicine cost, doctor’s fee, consultation fee, nursing, pre and post accommodation at hotels, private transportation etc. The international patients pay extremely less for world-class health services in India.The cost of deep brain stimulation varies. The amount mentioned below includes the system and the surgery itself, along with inpatient stay and follow-up assessments.